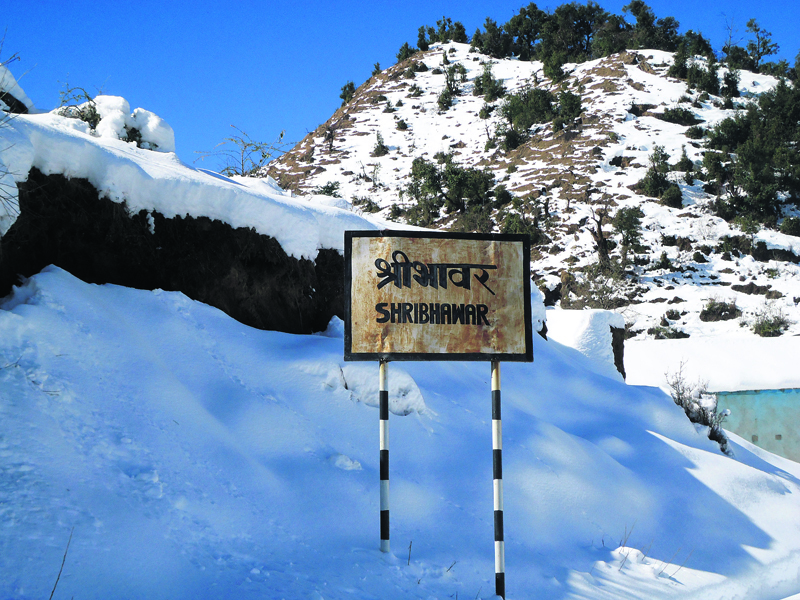 A road section along the Prithvi Highway at Shribhawar of Bajhang district covered with thick snow. The snowfall since the last four days has made the roads of the district silppery, posing risk to the vehicles traveling along the highway. 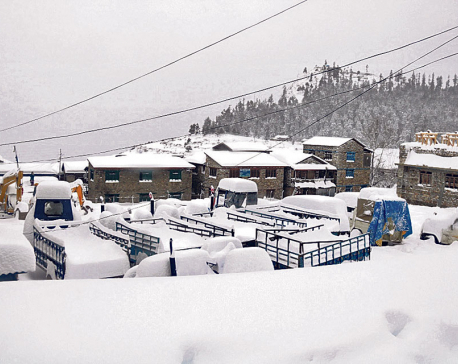 BAJHANG, Jan 19: Snowfall in Bajhang district since the past four days has forced the locals to undertake precarious journey across the Prithivi Highway. Roads in Shribhawar, Dudikholakhan, Musiyakhan, Bajpani among other places along the highway are particularly risky as they are covered with snow. Drivers are fearful as the slippery roads may cause serious mishaps anytime. However, vehicles and pedestrians have no choice but to take the risk. "It is fun to drive along the roads during summer. 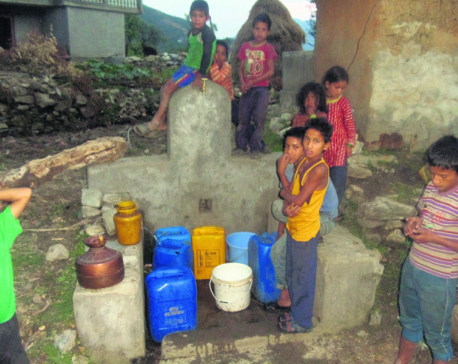 But the story is totally different during winter, especially when it snows," said journalist Lalit Singh, who just travelled along the highway recently. "We feel constant danger that the vehicle might slip and kill us anytime while travelling in the snow-covered roads." Despite the risks, the Department of Transport Management (DoTM) has not paid any attention toward the problem. Locals say failure of the government to take measures in ensuring safer travel has left them worried about their safety. About a decade ago, 11 passengers had lost their lives when a bus en route to Dadeldhura from Bajhang slipped and met with an accident in Bajpani. One of the survivors, Prakash BK, who is also a representative of Informal Sector Service Center (INSEC), said he still recalls the day of the accident with fear. "I was lucky then, having to stay in hospital only for three days," he recalled. "As the days become colder, drivers also drink to keep themselves warm. Now the threat is of not just snow but drivers consuming alcohol, which increases the risk of accidents," he said, adding that there are still no police check posts from Khopade to Syadi, and the activities of drivers go unchecked. According to a local hotel entrepreneur Karan Chandal, none of the stakeholders has bothered to clear the snow off the roads. "It has been snowing every day for the past four days. And safety of passengers is the least concern for anyone," he said. Karan Bhandari, a bus driver and owner of Karnali River Transportation, said they are driving with a constant risk of accident these days. "There is snow of about three feet, that too in roads that are already considered as highly precarious. Now with extra precaution, it takes three hours to drive in the road that usually takes only an hour," he added.